Good news, Boy Meets World fans! Season 2 of Girl Meets World will bring back many of the characters from the former TGIF show. Fans can expect to see the return of Mr. Feeny, Eric, and Shawn when the new season kicks off with a week of all new episodes starting on Monday, May 11. After a confusing appearance at the end of the pilot of Girl Meets World where everyone seemed to think that he was a ghost, Mr. Feeny will be coming back to the Disney show in the season 2 premiere “Girl Meets Gravity.” This time, however, there will be no mistaking that everyone’s favorite teacher-turned-principal-turned-professor is in fact alive. But that’s not all, Boy Meets World fans. 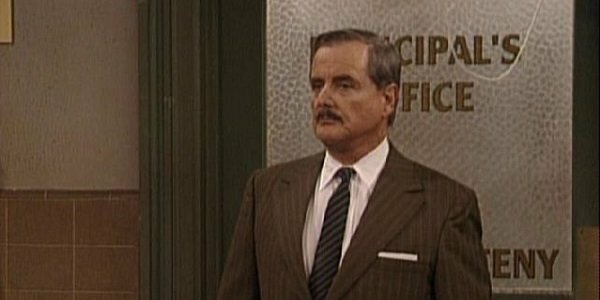 According to TVLine, Mr. Feeny will also return for the episode “Pluto” a little later in the week with another memorable character, Shawn. Cory’s best friend is back! In the episode “Pluto,” which airs on Thursday, May 14, Shawn will reunite with his best friend and members of the original show for what is likely to be one for the history books. The plot of the episode will feature all of the original cast members, with the exception of Cory’s brother Eric, as they visit their old stomping ground and dig up an old time capsule in Philadelphia. 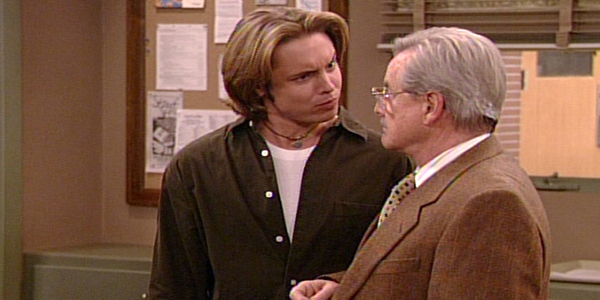 No doubt Mr. Feeny will not disappoint in dispensing many wise words to his former pupils, particularly Shawn. Shawn’s episode will likely remind Boys fans and introduce Girls fans to the unbreakable bond that Cory and Shawn have always shared. What Boy Meets World reunion of sorts would be complete without Cory’s hilarious big brother Eric? Exactly! That’s why on Friday, May 15, fans' wishes will come true when Eric reunites with his younger brother and his wife Topanga on Girl Meets World. In the episode “Girl Meets Mr. Squirrels,” Eric serves as a mediator, helping to break up a dispute between best friends Riley and Maya. Sound familiar? I’m sure Boy Meets World fans can recall a time or two when a comical, but sometimes serious Eric would intervene to help bring Shawn and Cory back together after a fight. As they say, history often repeats itself. With appearances from fan favorites Mr. Feeny, Shawn and Eric in season 2, Girl Meets World is sure to come full circle as a sequel to former Disney Channel hit Boy Meets World. Cory’s parents, former/current Cory and Topanga rival Stuart Minkus, Cory’s former bully-now-turned-friend Harley Keiner, and Cory’s younger brother Joshua have all already made appearances on the spin-off show. Season 2 of Girl Meets World premieres Monday, May 11 on the Disney Channel.